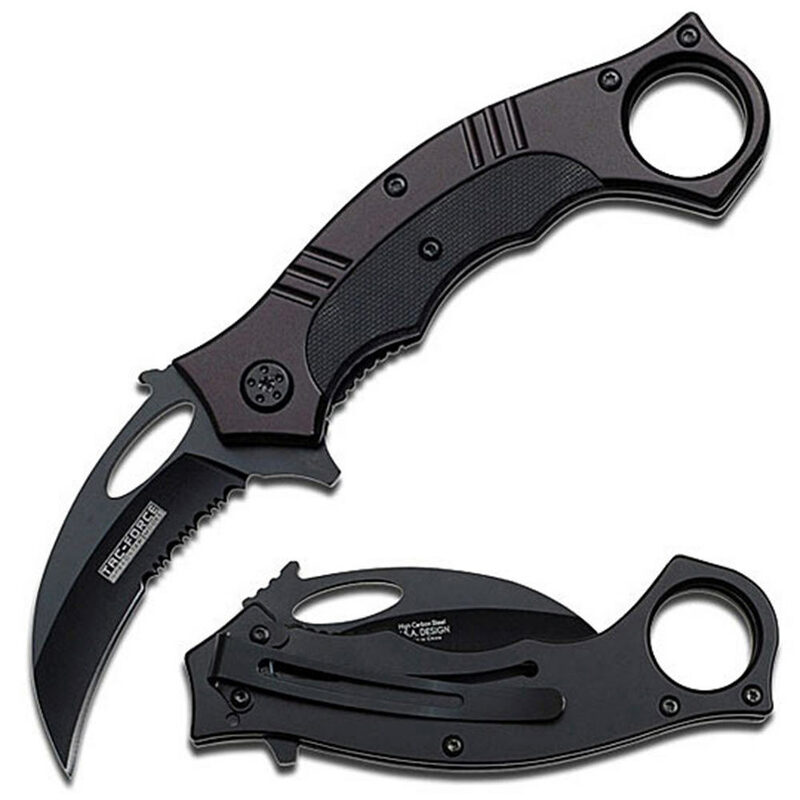 Karambit pocket knife with fast blade deployment and modern design. Steel handle w/ black finish & G10 panel. 6 5/8 in. overall opened, 2 3/8 in. blade, 4 3/8 in. closed. Great knife. smooth action, good weight and fits very nice in the hand.